The salary premium for union members compared to nonunion workers with comparable skills has remained relatively steady over the last 80 years. 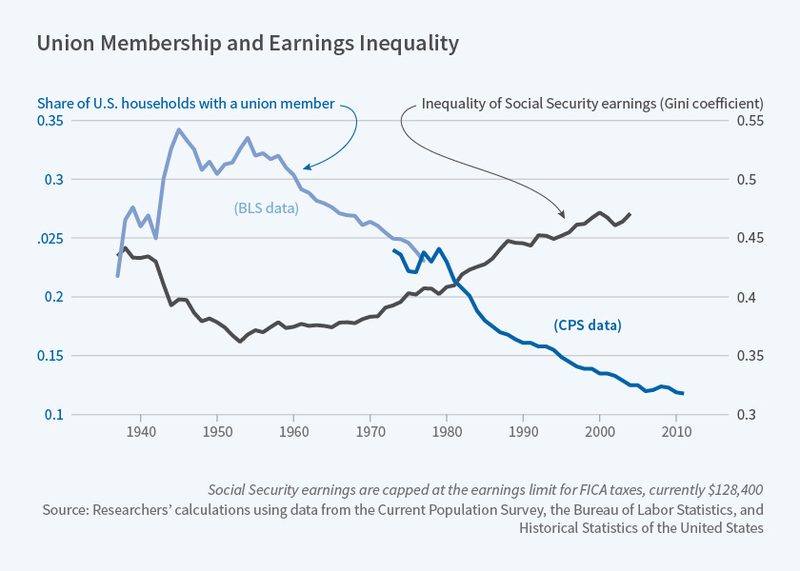 Tapping into eight decades of private and public surveys, a new study finds evidence that unions have historically reduced income inequality. Between 1940 to 1970, when unionization peaked and income inequality narrowed, unions were drawing in the least-skilled workers. Before and after that period, unions were smaller and a higher fraction of their members were drawn from the ranks of high-skill workers. The 19401970 period also coincided with the highest share of union members drawn from minority groups.